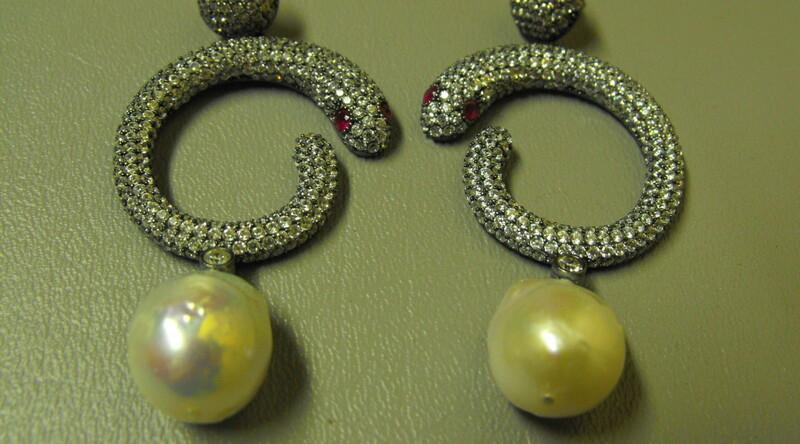 These Are “Snake Eyes” Of An Altogether Different Nature ! 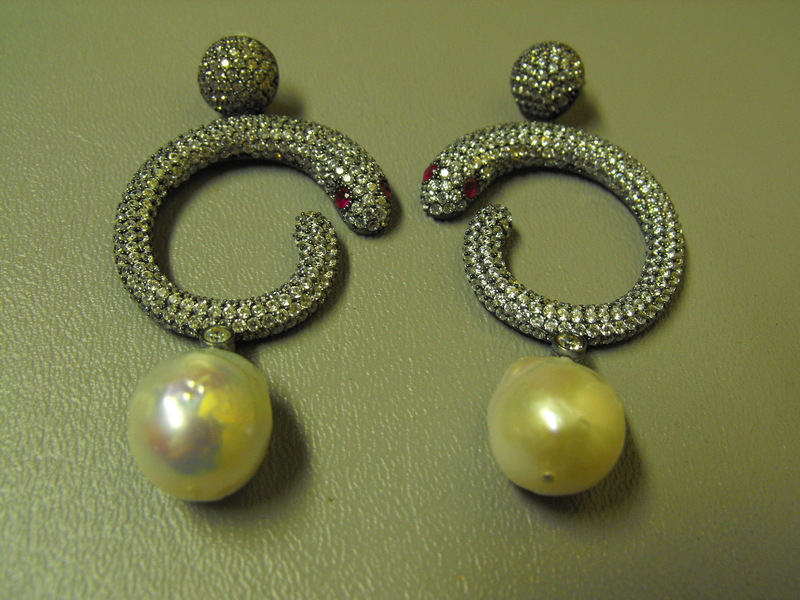 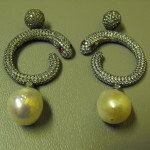 Here are a pair of very elegant coiled snakes (ready to strike at any moment) with Ruby Eyes and a body of Swarovski Crystals guarding very large Baroque Pearls over 13mm in size. 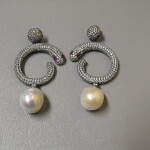 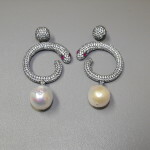 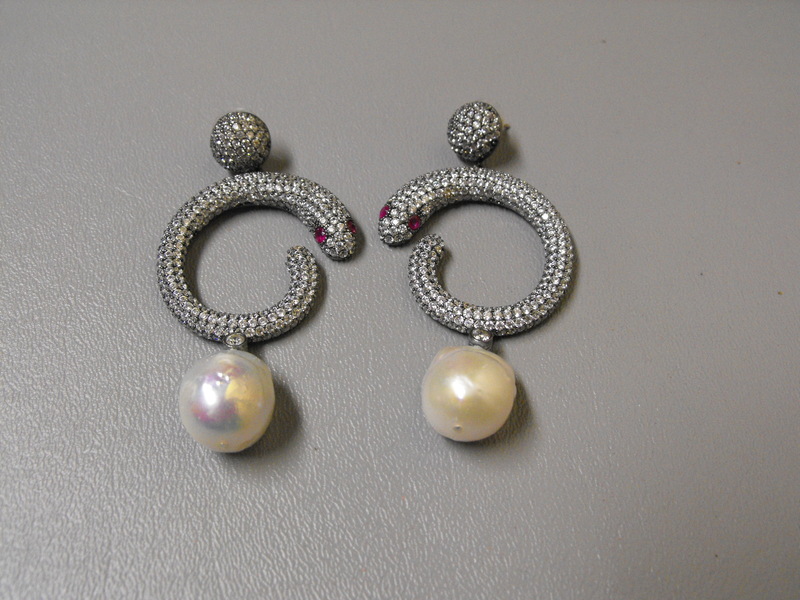 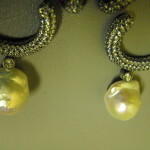 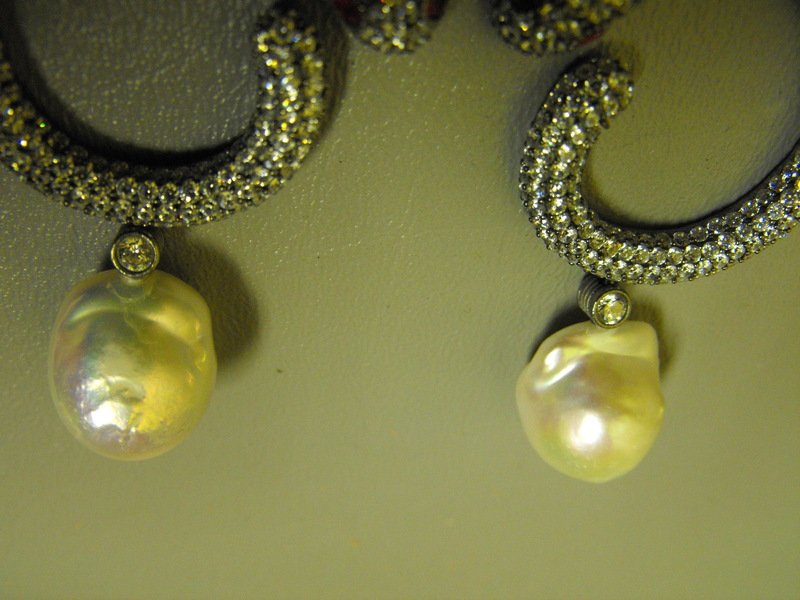 Total earring length is 3″ and the snake measures about 1 1/4″ wide for each pierced earring. 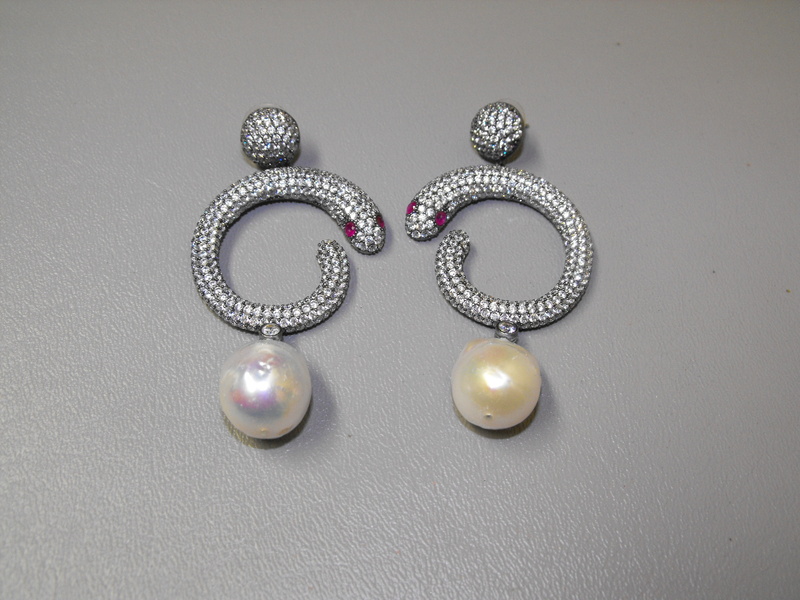 So…….wearing these earrings says you are ready to “strike” up an elegant statement.